What does hockey mean to Joe? Joe started hockey in middle school. His teacher Mrs Chidlow first got him into hockey. He chose hockey as his favorite sport because it is a fast paced sport. And it was better than football! The level of hockey Joe plays is Futures which is about national level. He says he’s better than his brother because he’s more skillful and plays a higher level of hockey more consistently. He said no relationship should affect his career in the future of hockey. He aims to play a higher level of hockey but to still enjoy it. If hockey could not be his first career he would be a chemical engineer. Abbotsholme - a school of sporting talents! Abbotsholme, a Derbyshire school, has been seen to have many sporty talents throughout the year groups. The school is bursting out with sporty talents from all over the year groups. From a year 8 Port Vale football player to a Sixth former potential England hockey player! We interviewed some of these people to see how they were getting on. Abbotsholme has many potential top class hockey players. Aimee started when she was five, and after a short break when she was bored with hockey, she dedicated herself to the sport. She plays for the county and aims to build up from there. Her motto is to ‘keep working hard and improving’ until she gets to England level. Her Thursday evenings are entirely taken up with hockey and she knows she will need to stick to her motto to achieve her goal! The school has a range of talented cricketers. Nils is aiming to become a professional player. His brother was invited to join the local cricket club, so Nils decided to go with him. He was two years old when he started and, since then, has built his life around cricket. He won Player of the Year in Derbyshire when he was 15, which he says is his greatest achievement so far. He attends Academy training twice a week, on top of his normal training session. Abbotsholme is starting to push through with talented footballers. Tom would love to become a Premier League player. 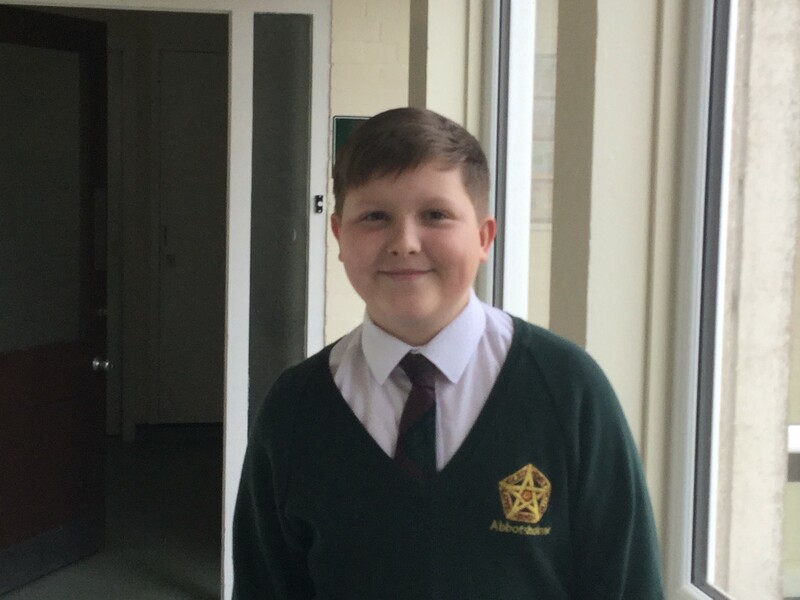 He started when he was young, playing for his local football team until he got noticed by Port Vale in 2017. Getting into Port Vale was Tom’s best achievement so far. He trains after school three times a week. How green is Abbotsholme School? The addition of The Round Square Café has raised some questions. Although it is for a good cause is it the main source of littering around our school? The round square cafe is a tuck shop-like cafe that raises money for The Round Square community. But it causes a lot of litter around school. “When we didn’t have The Round Square cafe the school was clear and clean of most litter,” Mrs. Mayfield mentioned, one of the teachers of Abbotsholme. Gina Embleton, an old Abbotsholmian, used to be part of the cleaning duty that happened before lessons. She used to clean the windows and vacuum the floor in the old art block that is now the girls’ day room. She also said she would totally be in favour if students brought back the cleaning activity before lessons. Mrs. Simpson has said that she has banned sugary sweets in her class room because of all the sweets that people bring to her classroom because she has a Friday lesson after break, the prime time to get the Friday chocolate from the café. Mr Abraham has also mentioned how littered Abbotsholme has become because of The Round Square Café. He also has mentioned how he wouldn’t mind bringing back the cleaning up duty back to Abbotsholme and to be honest some people would not mind helping out but that’s not what other people have said. 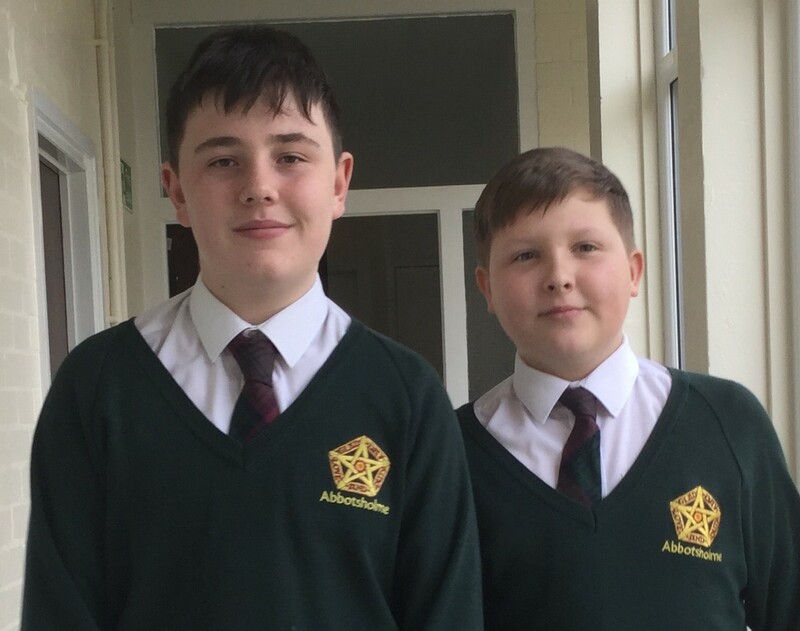 Despite the benefits, some students have disagreed with the cleaning of the school and have argued that they shouldn’t have to clean up other people’s mess. They bring up a good point but if everyone cleaned up after themselves we wouldn’t have any litter anyway. But it’s up to your thoughts: should we clean up our school for the good of the environment or let the cleaners and maintenance do all the work? You decide. Sony has not given an official release date on the PS5 but we can speculate that the PS5 will be released on 2020 because the PS5 will not be released this year as the PS4 is still doing very well and it will most likely continue into 2019. One game that the PS5 may release is ‘May be Death Stranding’. The developers of the game are clearly being allowed to take their time with the game and its progress isn’t anywhere near finished so the PS5 may launch as a bundle with the game. We haven’t been told by Sony what the PS5 will cost but Sony’s consoles have mostly all costed £399 except for the PS3 which was £450 and Sony quickly realised the public were not happy with that price and they lowered it to £399 so it is a good guess to start at £399. Abbotsholme cannot compete with other schools like Denstone which has a lot more students to pick from. Abbotsholme students need more time to do sports so that they can get better. Denstone has a lot more students to pick from but Abbotsholme is a smaller school. That means our students need more time to getting better. We decided to ask some people want they think about this idea. We asked 28 people what they thought and we came up with this. Mark explained to us that students need more time to practice so that they can get better at the sports we play. Mrs Carr thinks that we have more time playing sports than most schools have so we shouldn’t have more time doing sports. Lydia said that if we had more sports it would be bad because we have too much all ready. Tom Dunn commented that he doesn’t want people to go to Abbotsholme and not do sports. He also said that we cannot play schools like Denstone if we don’t have enough practice. Mr Herbert aid said it allows pupils to excel outside of the classroom, build confidence, represents the school, and be Pala of a team. We decided to find out how many senior school boys at Abbotsholme would prefer to have no ties or stick with ties. Some schools in the uk have banned ties from the school uniform. the headteacher said that the ties were being wore too tight as a joke and got stuck. In other schools they have changed the ties to clip on ties because pupils were making there ties too short. What does dyslexia mean to me? Many people in this country are dyslexic, but it is not necessarily a negative diagnosis. In 1887 a German ophthalmologist, Rudolf Berlin, used the word dyslexia in place of the word blindness. It is a Greek word meaning difficulty with words. Dyslexia is not caused by brain damage or a lack of intelligence. 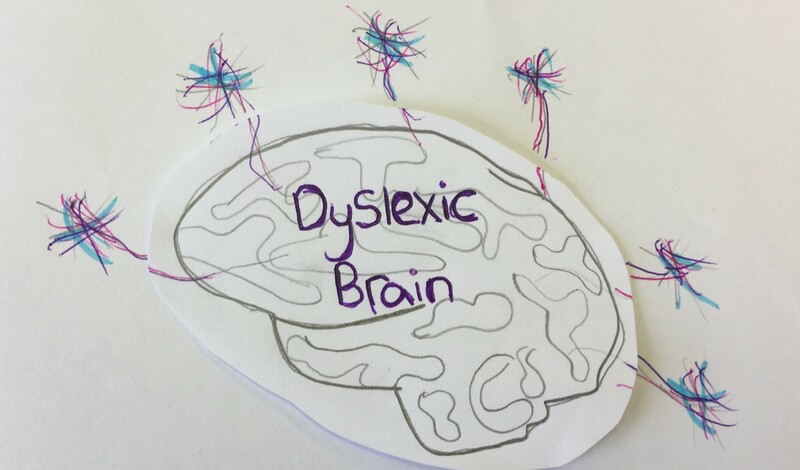 There are only 10% of people in the UK who are dyslexic and 4% who are severely so. Lots of people find learning very hard. Sometimes it is being bad at spelling and reading. There are ways you can teach your child with dyslexia by showing them the word, reading it out loud and then getting them to read the letter out loud too. Technology can help by spelling out your words for you. If you can’t read very well then you can get the technology to do it for you. You have the right side of your brain or the left side of your brain. The right side is more adventurous then the left side because the right knows all about art and sports and all the fun things and the left side knows all about maths and English and science. The left side of your brain is weaker then your right side.When you are dyslexic the right side of your brain is more dominant then the left side. It is like you are climbing a wall all day for the rest of your life. because if you fail the only way to go is up. This is coming from a girl who finds school very hard. My mum said, “Scarlott, you are always climbing walls in life, but if you are at the top of the class you can’t keep going up, you can only go down.” If you hate school that is ok because I do but I always try and try and if I don’t go anywhere I try and try again. Life is hard but there is always a way through. If it was easy then where is the fun in that? Abbotsholme’s Young Leicester Tigers Trialists! Will these young Leicester Tigers triallists go through or will they try next year? There are normally around one hundred people trying to get into Leicester Tigers trials. The trials last at least one hour and ten minutes. At the trials you do passing and get split into two groups and do game situations and they happen at Keele University. I asked Aiden how the trials were going and he said the trials were going well because he has played rugby for eleven years. Then Aiden started talking about him supporting Leicester Tigers and how he likes playing with his friends and tackling. Aiden likes to play inside centre because of how much you get the ball and how much you tackle. I asked Blake how the trials were going and he said they were going well but he didn’t know if he would get in because there are very good players there and he has only been playing rugby for two years. Blake plays fly-half and he supports Wasps. I asked Fintan how the trials were going and he said it was ok. He said there were so many brilliant rugby players going when he had only started played rugby last year. Fintan likes to play full back and he likes playing with his friends. People in the Derbyshire villages are trying to prevent the common toad from dying by people not being careful when they are driving down the country lanes at night, and not to mention the horrible squelching sound if any are hit. These people are giving up their time at night in the cold and sometimes rain, to help this specific toad from becoming extinct. The volunteers go out in the cold nights in February to April wearing a high visibility jacket so they can catch the eyes of the toads that are crossing the road. When they see one they will pick them up, put them in a bucket and transport the toads to the other side of the road, so they can go back to where they were born so they can reproduce. The reason why you need to watch out for them on the roads is because that is the best place for the toads to see a mate because they have a clear view. You need to especially look out for them on quite cloudy nights when it is a bit wetter. They don’t like clear nights because that is the best time for the predators to see them so just remember that when you are driving down a road on a wet and cloudy night. Kim is 17 and has a passion for hockey. She says she loves how dynamic the sport is, that it's really fast end to end play and you always have to challenge yourself. She also loves how you play among a team of 11. She is really competitive and loves winning with her team - the emotions you feel after winning a nail-biting game you just really cannot beat. Kim plays at a high level. The highest level of hockey is Futures Cup/ HiPAC and competing at the Sainsbury's school games. Due to her talent she is also sponsored by Kookaburra hockey. For club hockey Kim plays at Leek and her club is Leek Hockey Club. With her club she trains every Wednesday and plays league matches every Saturday during the hockey season. In hockey Kim says her strengths as a hockey player are her passing visions, all round capability in technical aspects and her ability to link with attack and defence in different situations. She would say her main weaknesses are her mental toughness and her physicality. She chose Abbotsholme as her school because she was offered a sports scholarship and if she hadn’t taken it she would have massively regretted it, as the teachers and students are so kind to her and welcoming, they give her so much support and encouragement. The whole school environment in general is by far one of the friendliest and most welcoming atmospheres of all the other independent schools she looked at. Kim as a hockey player would not have started hockey if it was not for her middle school teacher, Denise Chidlow and her high school teacher, Katie Ackerley. All of Kim’s coaches throughout her time playing hockey from leek and county, JRPC, HiPAC, Futures Cup have helped her develop to who she is now as a player. Also Laura Askew, her coach from Abbotsholme school, because if it wasn't for her, Kim would never have had the opportunity to come to such a great school and thus she would never have had the platform to go on to university. Kim definitely will keep playing hockey and will still continue to strive for England as she wants to better herself and be an influence on others. She is too old for the junior system now so she is going to try her best to be spotted at university. Could you do without it for one day each term? From the time that alarm on your phones goes off in the morning to the time you go and set it again at night for the next morning, you use technology more than you think. We all probably read the news in the morning on our iPads or phones. Children walk into the classroom, sit down and get shown presentations on the board. They come from a computer and a projector that projects the image on to the screen. In break they sit on their phones not knowing what it is doing to them. The technology we use today is doing physical and social damage. A lot of people are losing concentration and are too fascinated on their devices. People don’t go outside as much because we can do our shopping on our iPads, laptops and phones. There is a good side to technology: there are many websites like child line that teens can contact about their mental health, depression, their body image etc...; older people or disabled people may need to shop online for their food or some families could live separately all around the world and call each other or text each other just to keep in touch. One way of reducing technology is having a technology free day once a term in schools that use technology. This will happen by teachers handing out leaflets instead of a power point and games will take place at lunch and break, like board games such as chess in the winter and in the summer British Bulldog. The headmaster at Abbotsholme School, Mr.Barnes, says that it would be good to talk to people face to face instead of over technology. He wouldn’t get sidetracked into his emails instead of doing what he love which is teaching the students here at Abbotsholme School. A boarding parent at Abbotsholme School, Mrs.Sweet, says that if we didn’t have technology the world would go back to humanity. We all would benefit from having a technology free day once a term. It would be great to see people talking face to face instead of over email. Is it time for a change for school dinners at Abbotsholme? Do you like the school dinners? Where do you get the produce from? Do you think the senior school need bigger portions? She told us that she does like the school dinners and that we get fresh produce which is locally sourced. She also told us that some of the dishes are home made. When it came to portion sizes she said that they vary depending on the person. The Abbotsholme students said they like the school dinners more then they don’t like the school dinners and so we guess they’ll be around for a while. I have been hearing there are people in this school that want to do double hockey instead of rugby, hockey and cricket. So I set out to ask my fellow students what their opinions were. Here is what they had to say. The end result in my survey was 3 votes for rugby, hockey and cricket and 6 votes for hockey, hockey, cricket . So it seems that hockey WINS the vote. Will Abbotsholme sport sessions change? You’ll have to stick around to find out. Two boys at Abbotsholme School called Fintan and Blake go for Leicester Tigers DPP trials. For the trials the boys traveled to Keele University. Blake was happy that he got chosen for the trials because he had only been playing rugby for two years. During the trial Blake passed, rucked and tackled, Blake really enjoyed the trial. Blake said that he would gain playing rugby at a higher level if he was to get chosen. Fintan was happy when he got chosen. When doing the trial Fintan got split up into two different groups and the two different groups played two different concepts of rugby. Fintan thinks that he would get better at rugby and get better at teamwork if he gets through the trials.